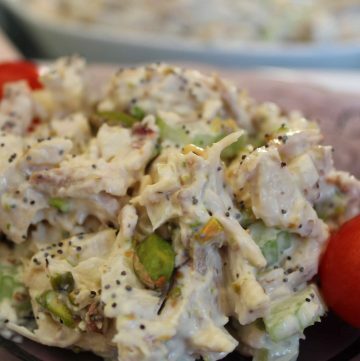 Pistachio Poppy Seed Chicken Salad is the ultimate luncheon menu item, whether it be a business lunch, ladies’ luncheon, baby or wedding shower! This quick and easy chicken salad recipe can be made from baked or broiled chicken or even a deli chicken! It really doesn’t matter who cooks the chicken…it’s the seasonings that add a bit of “sass” to this traditional luncheon dish. Back then, if you couldn’t afford a fancy wedding reception, your mother or Aunt would make a plate of triangular, crust-less chicken salad finger-sandwiches served with a raspberry lemonade. That’s how cool Chicken Salad was back then. 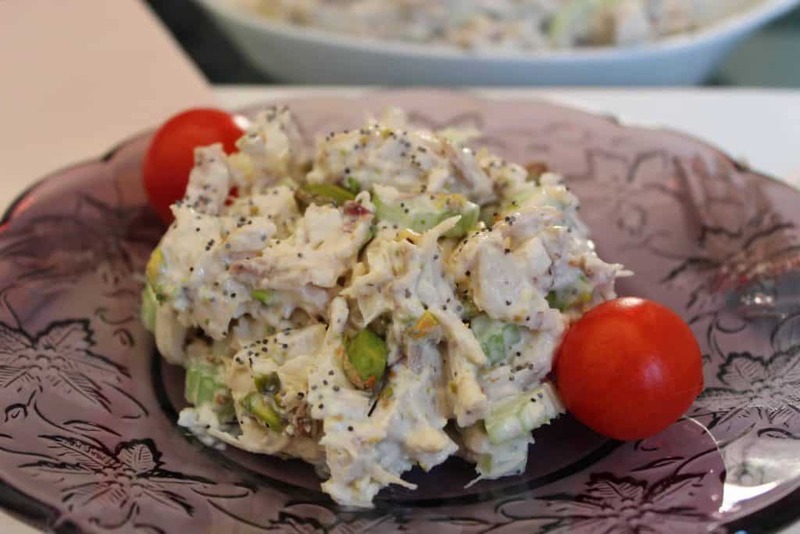 Since, there have been many variations of chicken salad: some with grapes and nuts, others heavy in herbs and lemon; but no matter what, chicken salad is always a welcome addition to the lunch table. Today, it reigns at many a corner or grocery delicatessen but there’s nothing better than homemade chicken salad. Can I Used Canned Chicken for Chicken Salad? I’ve tried using canned chicken before and I found it tasted rubbery and salty. To make a really good chicken salad, you have to either cook the chicken yourself, or buy a rotisserie chicken. There’s no shame in that these days, but the deli chickens are seemingly getting much smaller, so you’ll have to weigh the cost analysis of cooking or buying a chicken, depending upon how many you’re planning on serving. 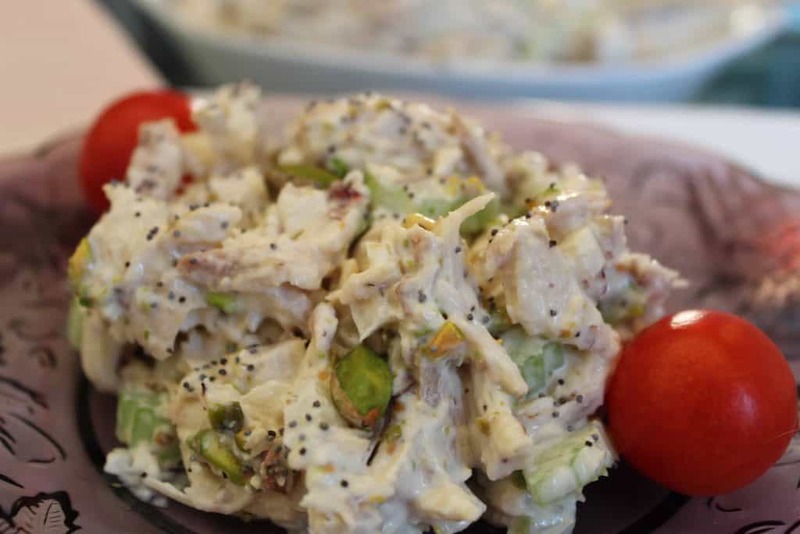 Is Pistachio Poppy Seed Chicken Salad Served Cold or Hot? This chicken salad is best when served slightly chilled. Combine the dressing with the chicken, then refrigerate for at least 30 minutes, allowing the flavors to marry. Once you’re ready to serve, place the chicken salad in a serving bowl and allow to rest at room temperature for 10 minutes. What Should I Serve with Chicken Salad? If you’re hosting a luncheon, you might want to have a nice tray of mini croissants nearby or a crudités platter offering sliced peppers, olives and cheeses. Water crackers or dark rye bread go with chicken salad, as well. 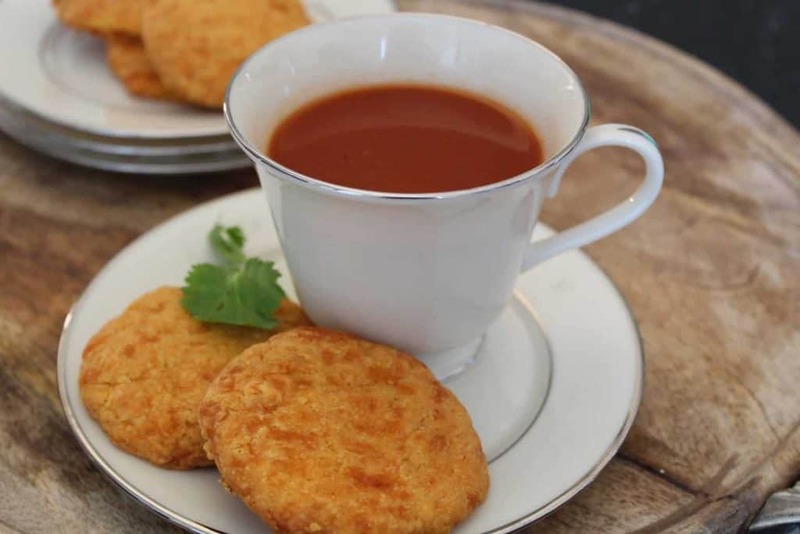 Another addition you might consider is a cup of Southern Tomato Aperitif… it’s like a warm, virgin Bloody Mary and pairs well with the chicken salad. 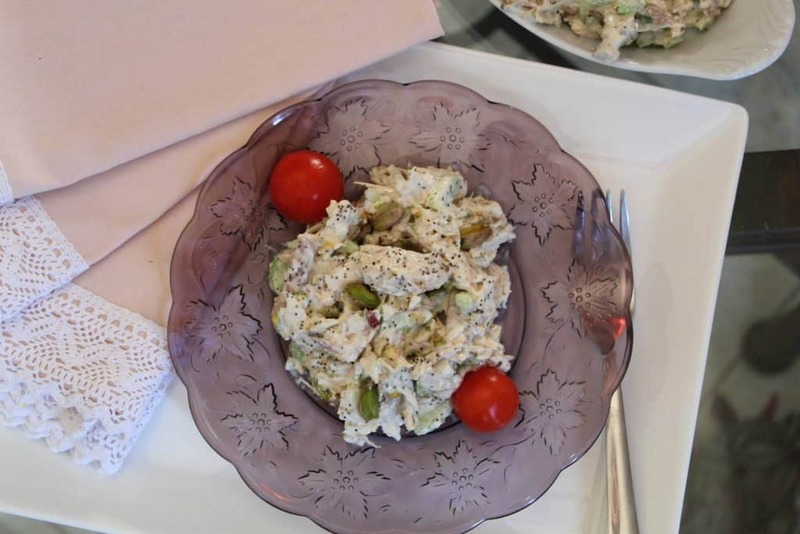 Chicken salad with celery, onion, pistachios and poppy seeds in a creamy Dijon-buttermilk dressing. No buttermilk? Use sour cream, kefir or plain yogurt instead!